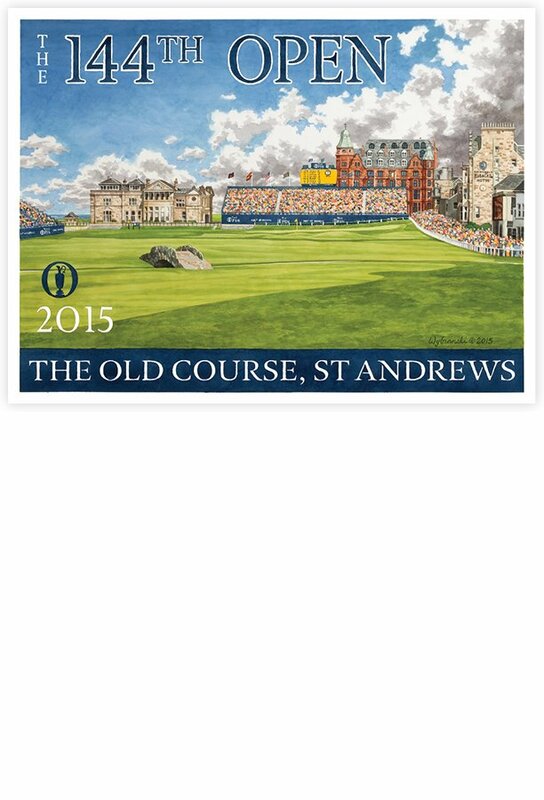 Lee’s 2015 Open Championship poster of the iconic 18th hole at The Old Course in St Andrews. Featuring the Swilcan bridge, the R&A member’s clubhouse, Rusacks hotel and Hamilton Grand. The poster version has sold out and we now offer fine art prints and wrapped canvas of the 2015 Open Championship image.